From Citigroup, a look at the unemployment rates in some major countries. Notice anything weird from the land of made-up economic statistics? (See answer below). Update: A few commenters got it. 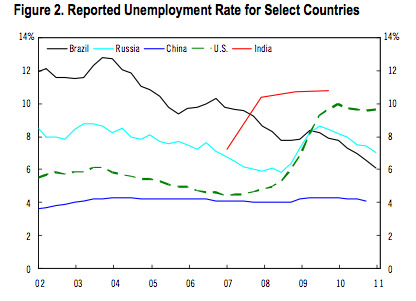 Chinese unemployment doesn’t fluctuate!